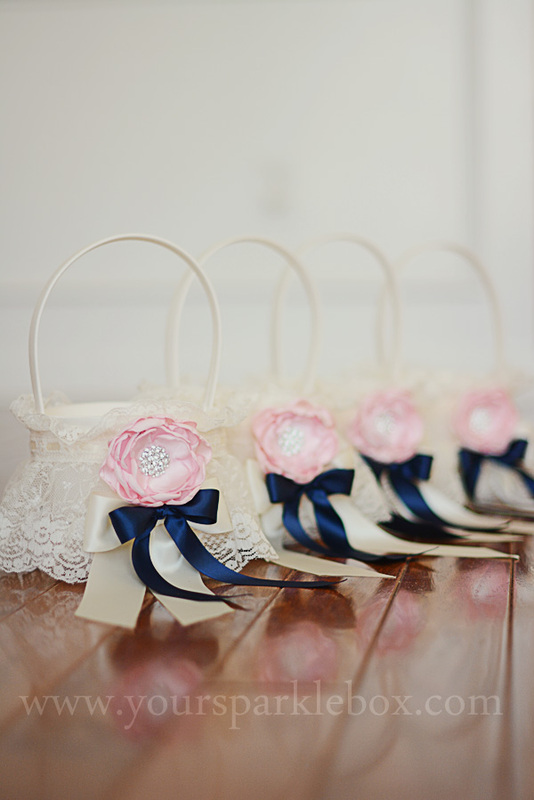 These gorgeous baskets are made to match your vintage style flower girl dress! I have designed these perfectly sized, corrdinating baskets with the same lace I use in my vintage inspired dresses. They are fully customizable and can be made with your choice of color accents and flower styles PLUS they are available in both ivory and white! 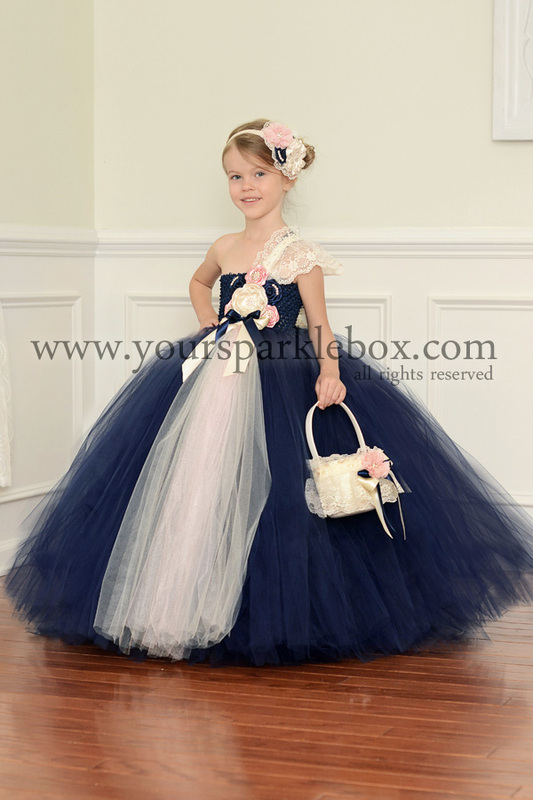 Shown here in Ivory, Navy and Pink, these are a perfect match for the coordinating dress. I also have a matching ring bearer pillow available for purchase!